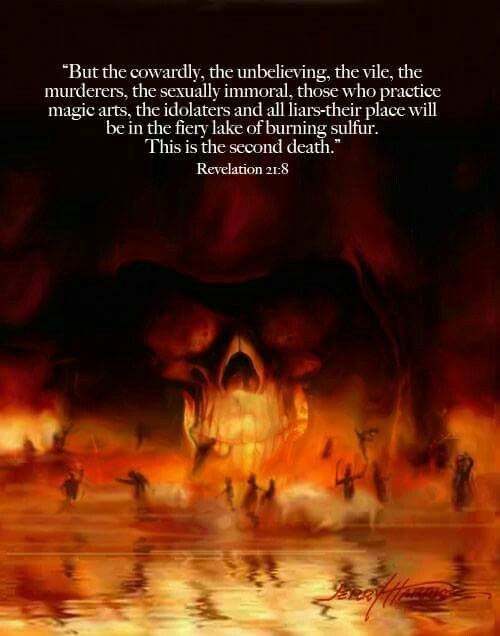 The Lord revealed to me in the spring of 2018 that satanic witchcraft covens across the world would be increasing in their attempts to destroy and control churches, Believers, marriages, and households and ultimately thwart the greatest harvest of souls in the history of the Church. This intentional assault also targets government leaders, education systems, businesses, media and arts and entertainment spheres of influence. Prophets and apostolic leaders are specific marks. The enemy knows if he can conquer the leader, he can also affect those they influence. "This is going to be a glorious hour for the Church, as it will demand a refocusing on the Lord and His power." Curses directed against Believers' health (mental, physical, and emotional), finances, relationships, and morals are particular objectives of the enemy in this season. The Lord revealed that there would be a new boldness and aggression in witches and they would be "coming out of the closet" declaring their evil intent. We saw partial fulfillment of this recently when a gathering of witches openly disclosed over national media that they were going to curse Supreme Court Justice, Brett Kavanaugh. That statement opened a demonic portal in the spirit even though they were unsuccessful in their mandate. Witches will also attempt to have their practices accepted in the Church and will be promoting the acknowledgment of witchcraft as part of sanctioned Christian spirituality. Believers are not to fear, but we must make certain that we are walking in clear discernment and giving the enemy no legal ground. Jesus said in John 14:30, "...the ruler of this world is coming, and he has nothing in Me." The enemy has no legal right to anything that pertains to us UNLESS we open the door through sin and compromise. Jesus is our righteousness and we are taught to "Watch over your heart with all diligence, for from it flow the springs of life" (Proverbs 4:23). Believers must not compromise in this hour, for the enemy is looking for landing strips in order to cast spells and assign curses. Curses, however, cannot be effective without a cause (Proverbs 26:2). We must not give him cause. Even as the enemy is increasing his assault, so also is God. The victory has already been won through Christ's finished work on the Cross two thousand years ago. The Holy Spirit is going to grant further revelation to Believers regarding their authority in Christ and the weapons that are available to them. War has been declared! There is no reason to fear as we are secure in Christ's love. If we walk in purity and relentless faith, we will know only victory... but the world needs us to step-up to the plate in this hour. This is going to be a glorious hour for the Church, as it will demand a refocusing on the Lord and His power. Clearly, Believers who draw close to the Lord in this hour will experience new levels of manifested power coming from the very presence of the Lord and His heavenly throne room. The King of glory, the Lord strong and mighty, the Lord mighty in battle, will arise and show Himself sovereign! It is a time and season of great global harvest. We are not to be sin conscious or demon conscious in this hour, but rather to be righteousness focused, worshiping the God of all power and all authority. "The enemy knows if he can conquer the leader, he can also affect those they influence." The Lord is sitting in the heavens laughing at the enemy and his schemes. That is also the position He wants us to take as we are "...seated in heavenly places in Christ" (Ephesians 2:6). How blessed are all who take refuge in Him!" In my new book, EXPOSED: Witchcraft in the Church, I give a prophetic alert regarding this assignment in addition to teaching on our position in the battle and the use of specific weapons of warfare in this hour. No one who practices witchcraft will enter into Heaven. 1. Revelation 21:27 Nothing impure will ever enter it, nor will anyone who does what is shameful or deceitful, but only those whose names are written in the Lamb’s book of life. 3. Galatians 5:19-21 Now the actions of the flesh are obvious: sexual immorality, impurity, promiscuity, idolatry,witchcraft, hatred, rivalry, jealously, outbursts of anger, quarrels, conflicts, factions, envy, murder, drunkenness, wild partying, and things like that. I am telling you now, as I have told you in the past, that people who practice such things will not inherit the kingdom of God. 4. Micah 5:11-12 I will tear down your walls and demolish your defenses. I will put an end to all witchcraft, and there will be no more fortune-tellers. 5. Micah 3:7 Seers will be put to shame. Those who practice witchcraft will be disgraced. All of them will cover their faces, because God won’t answer them. 7. Leviticus 19:26 “Do not eat meat that has not been drained of its blood. “Do not practice fortune-telling or witchcraft. 8. Deuteronomy 18:10-13 For example, never sacrifice your son or daughter as a burnt offering. And do not let your people practice fortune-telling, or use sorcery, or interpret omens, or engage in witchcraft, or cast spells, or function as mediums or psychics, or call forth the spirits of the dead. Anyone who does these things is detestable to the Lord. It is because the other nations have done these detestable things that the Lord your God will drive them out ahead of you. But you must be blameless before the Lord your God.